September 19, 2018 | Submitted by: CityScapes Inc.
From municipal buildings to manufacturing facilities, from the Pacific to Atlantic, Envisor roof screens have been there and screened that. You’re likely to find an example of Envisor roof screening in every major city in the country. That’s because for the past 20 years, we’ve been busy designing and manufacturing in our Central Ohio facility and installing them all over the country. 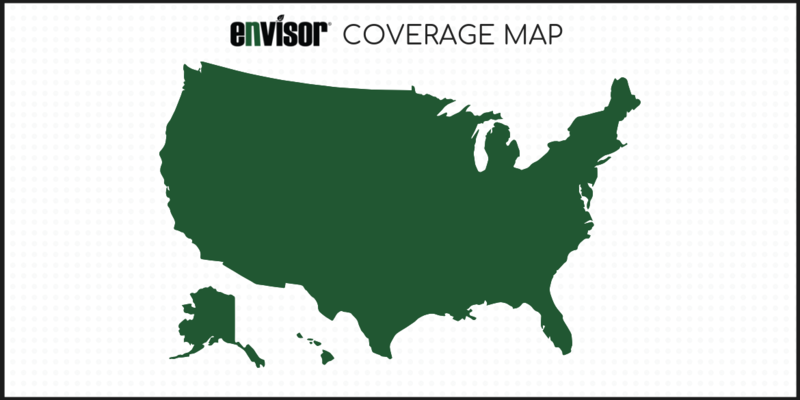 As you see from the map, Envisor has you covered. In fact, we complete thousands of projects each year. Most often, roof screening is required by building or municipal code and specified by architects. Envisor was created to satisfy the functional needs of code compliance while providing numerous design options. Our roof screens stand out as an integral part of the unique buildings they top. You might be working on a shopping center with 25 roof units, a school building with a few, or a restaurant with one. No matter how many units, or how unique your building, we engineer solutions to meet your needs.